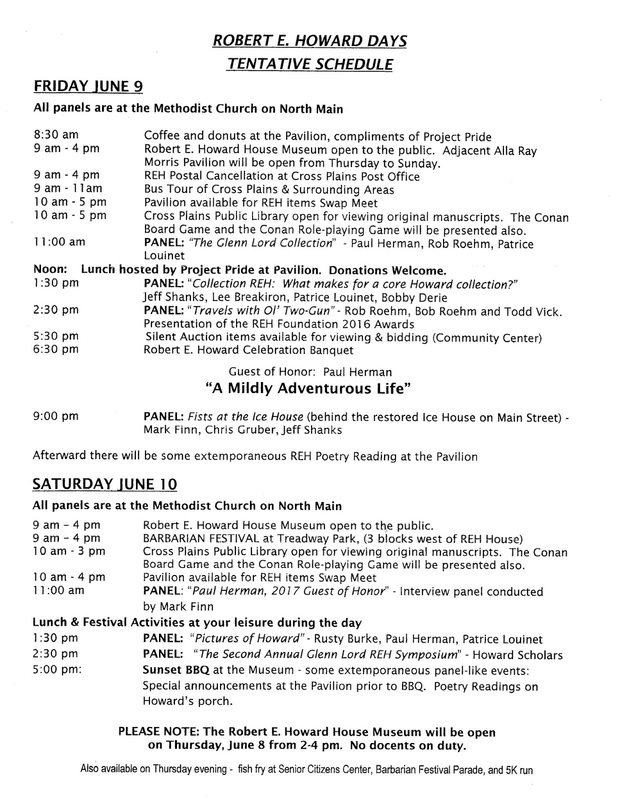 Here are the registration pages going out now to folks on the Project Pride mailing list. Never fear! 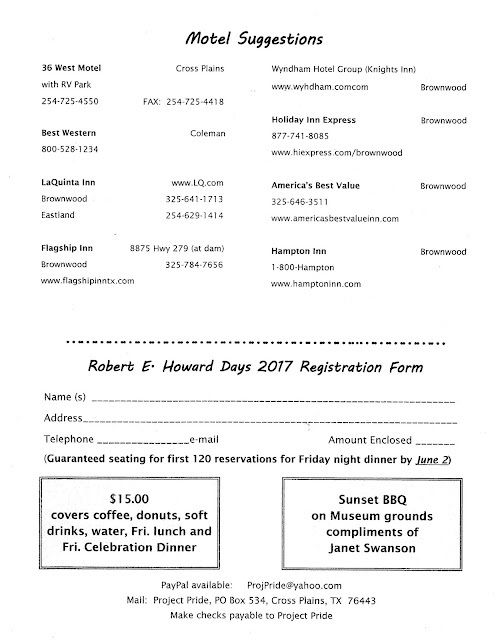 You may use the form here to register for Howard Days in June. 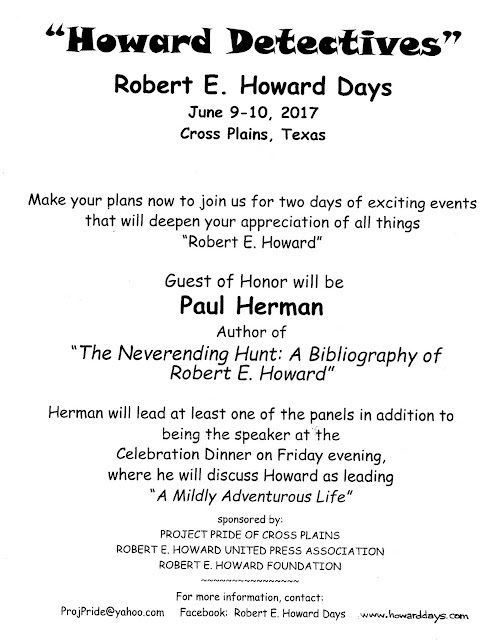 Please note that the registration taking place is primarily for the Friday Celebration Banquet. ALL the activities at Howard Days: admission to the Howard Museum and grounds, the Bus Tour, all panels, swap meet, readings and other activities are presented FREE of charge! The $15.00 fee gets you a seat at the Banquet plus helps defray the cost of drinks, donuts, and a hot dog lunch. You won't find a better deal all summer. Plus you get to hang out with a great group of people! 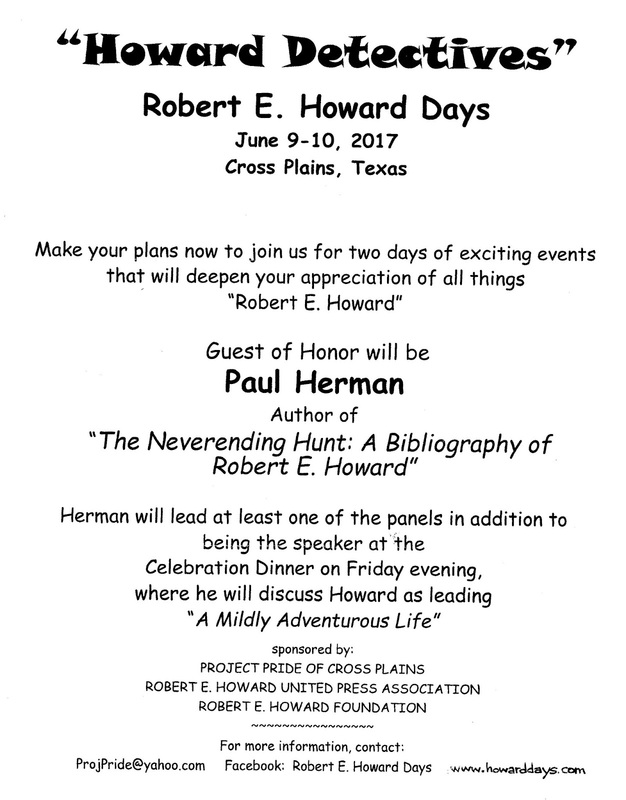 Hope to see you in June - it's never too late to come on down to Howard Days. It's in Texas - there's plenty of room!